The time has come! 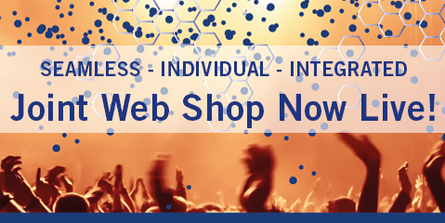 The Eurofins Genomics and GATC Biotech joint web shop is live. Check it out now at www.eurofinsgenomics.eu and find all products from both companies available online. Your barcodes, data, custom prices and settings from myGATC all remain available in the new environment. Your myGATC login also works for the Eurofins Genomics web shop.If you already have a Eurofins Genomics login, you can continue to use it. Of course, you can continue to use your GATC barcodes; all of them remain valid. Within the Eurofins Genomics web shop, you can find valued features like the GATC barcode management tool together with new tools like group functions to share data and sequencing primers. For the time being, we will also keep all Collection Points as they are today. We will inform you once we merge our networks here, too. We keep your custom prices and we make your customer benefit accounts (CBA/KVK) available within the Eurofins Genomics environment. This allows you to not only pay GATC services with your deposit, but flexibly use it for all Eurofins services as well. Eurofins customers with an EVOcard can of course use it equally flexible for GATC and Eurofins products in the future. In addition, we included all GATC NGS products – INVIEW, NGSelect and GATC Liquid – in the Eurofins Genomics web shop. They are fully orderable online, which is unique in the market. To learn more about the functionalities of our joint web shop, make sure to check our video tutorials. If you have questions, check our FAQ section or ask us.Our sales and support teams are happy to assist you!